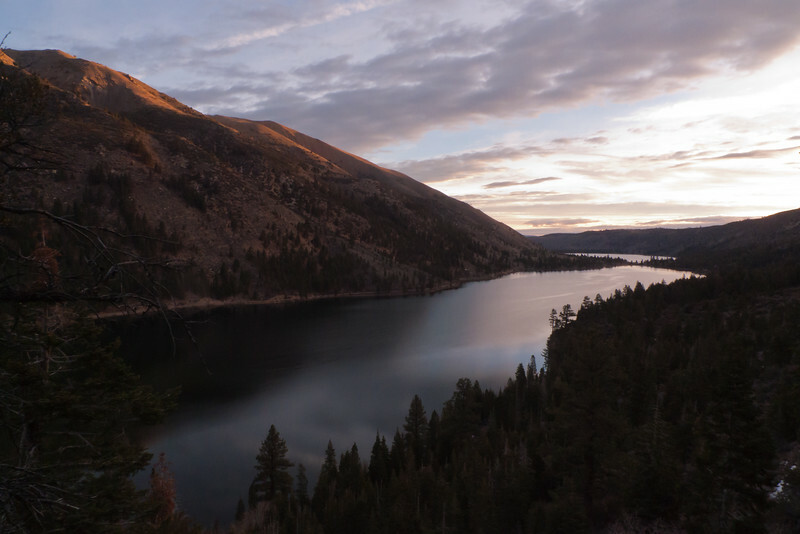 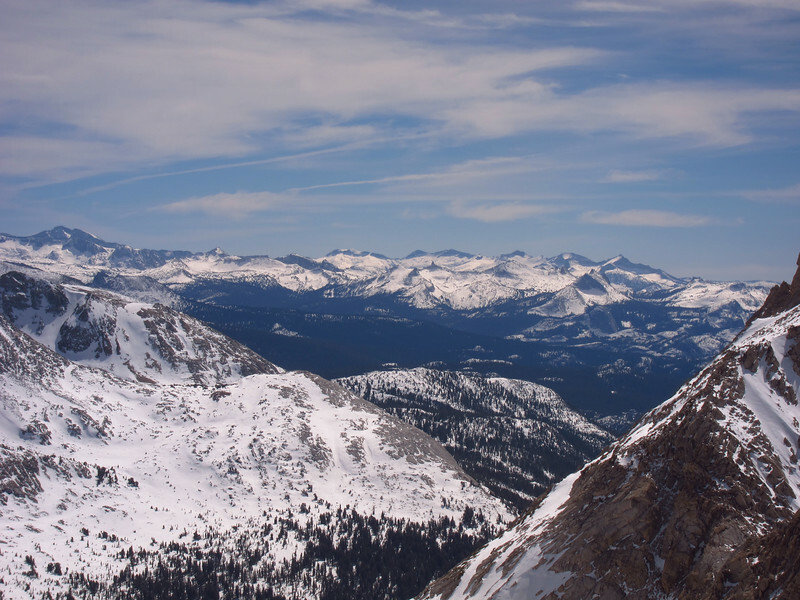 Synopsis: As the “winter” has progressed here in California, I have been doing a lot of road biking… Long periods of high pressure, sunny skies and warm temps have largely dictated February and March. 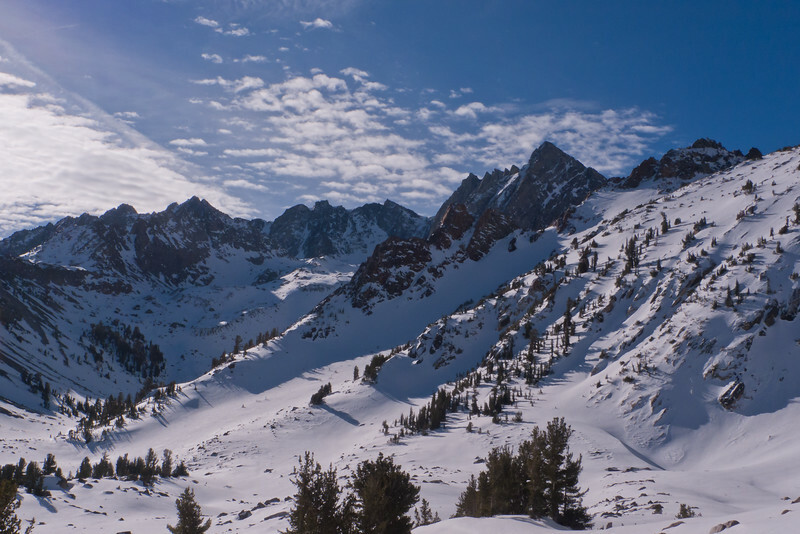 California was treated to a much needed storm about a week ago, which provided some moisture for the state and a blanket of low-density snow at high elevation. 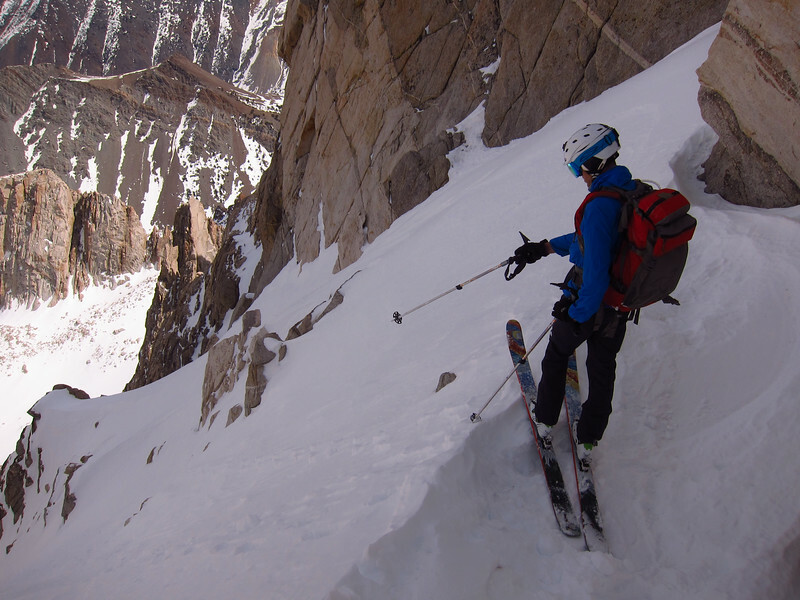 While not the base-building, heavy cement we really needed, no one was in a position to complain. 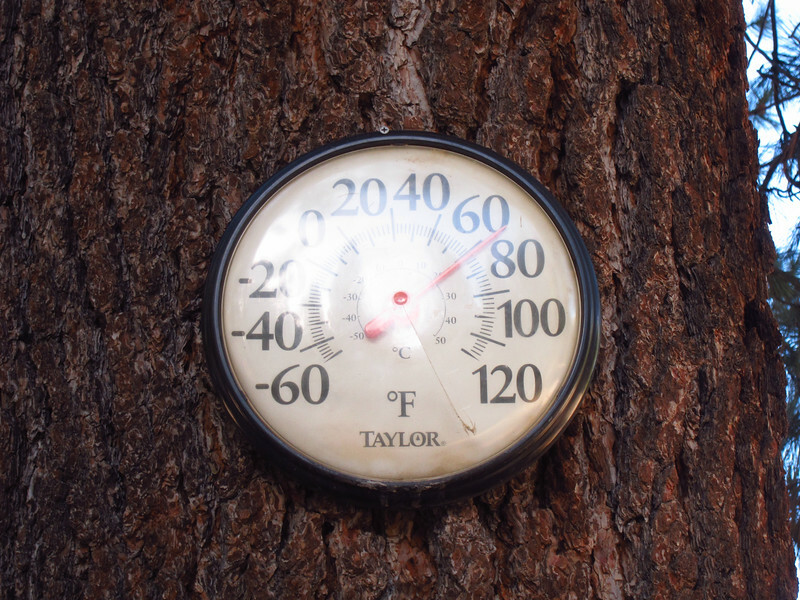 However, as quickly as the storm came, high pressure and warming temps generally returned. 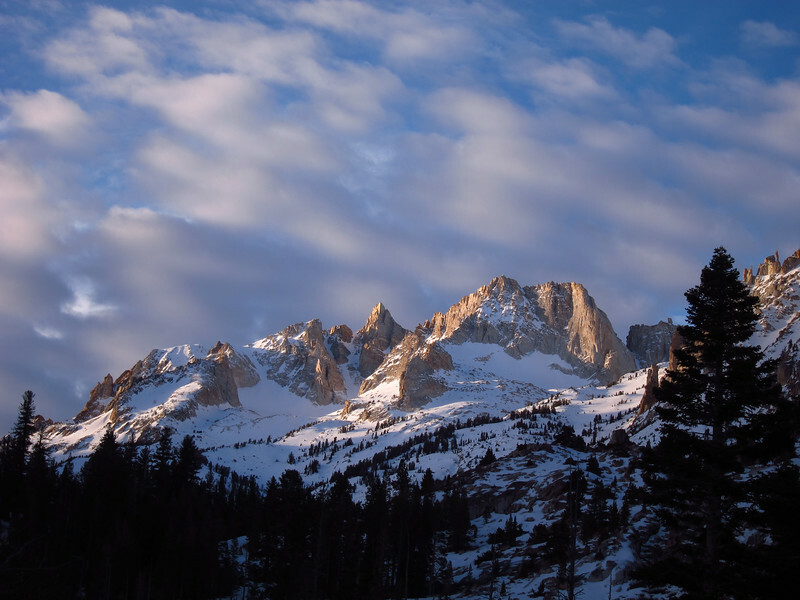 On Wednesday, another storm came across the Sierra that provided several more inches of snow, followed by a warming trend and high pressure. 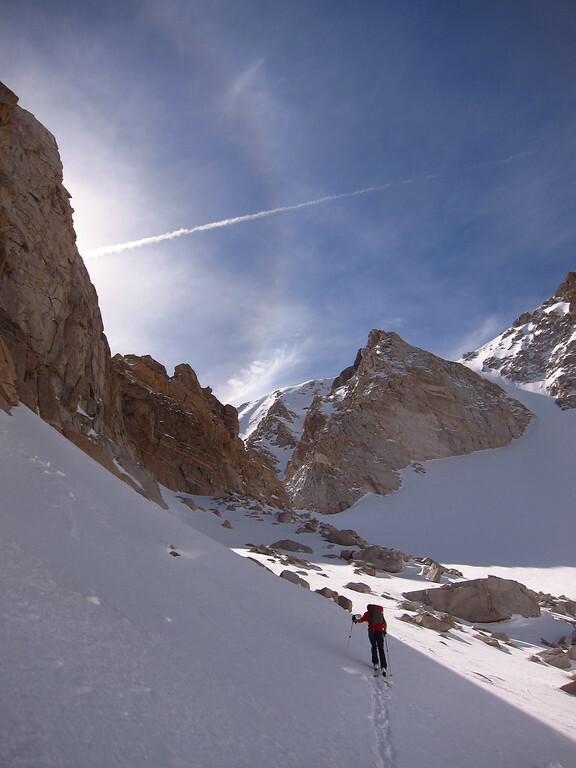 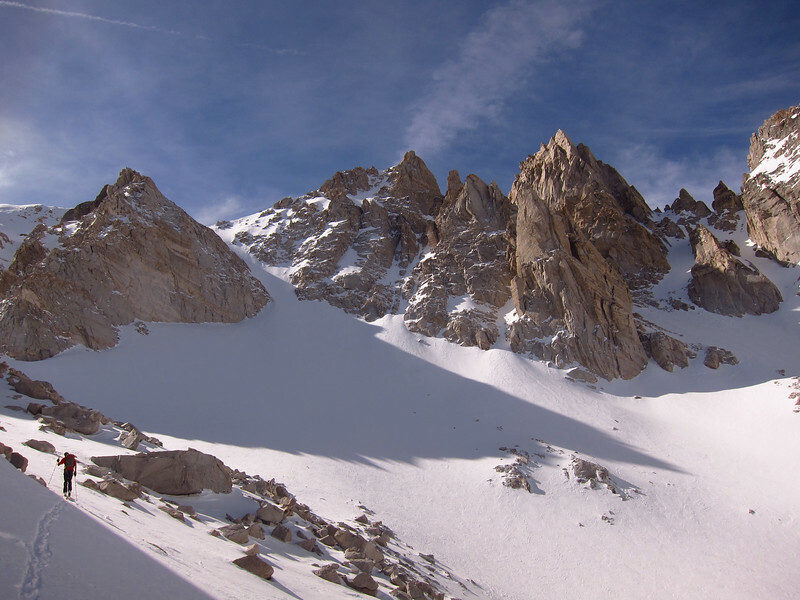 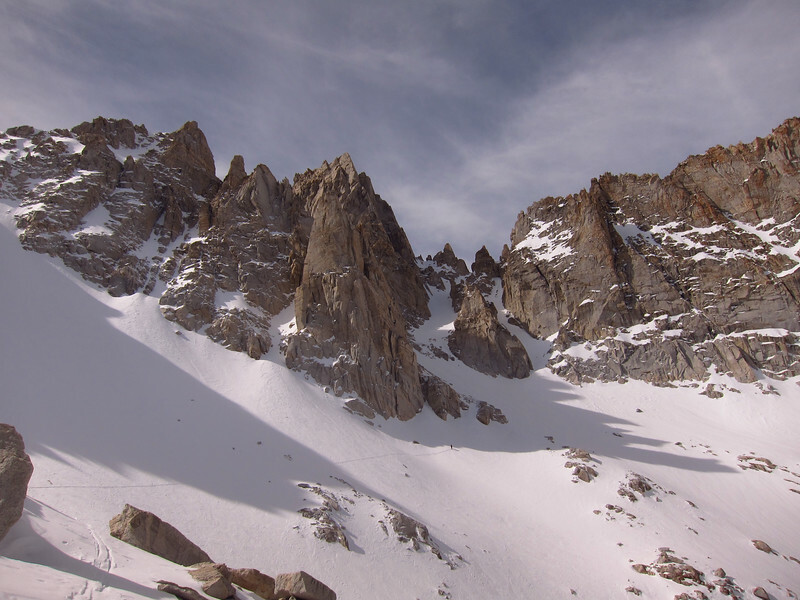 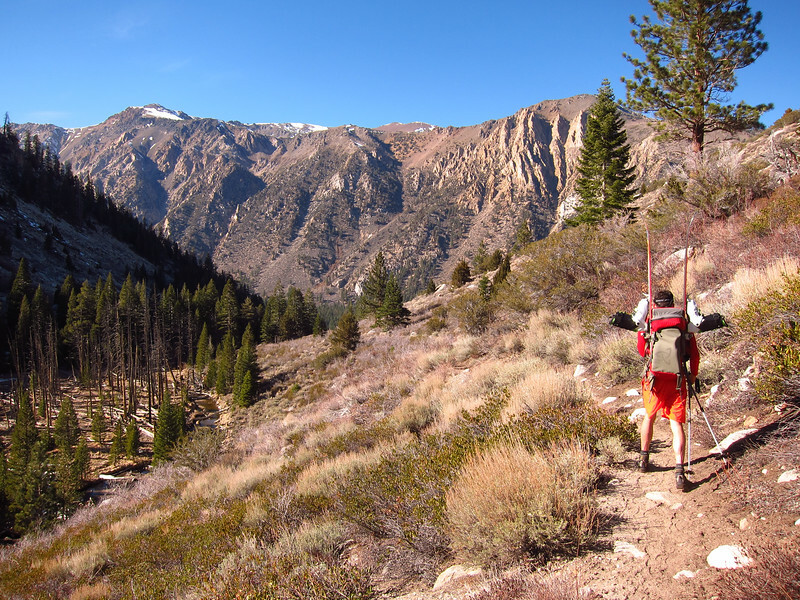 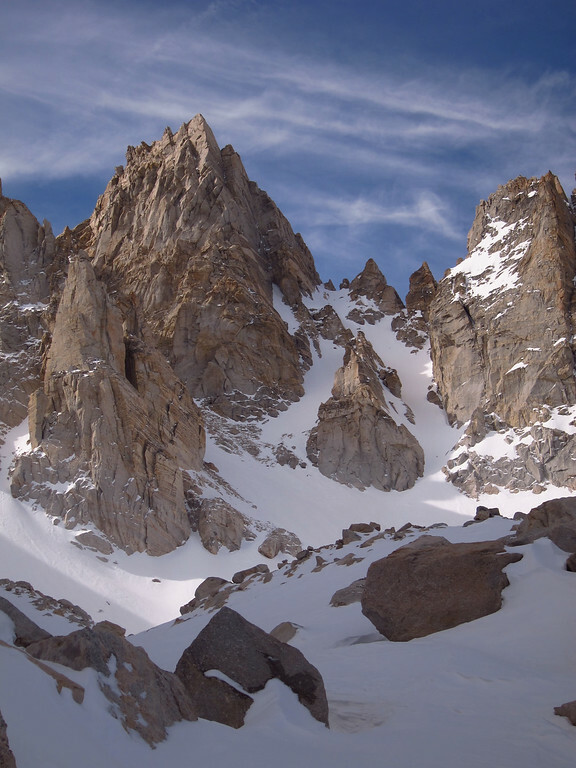 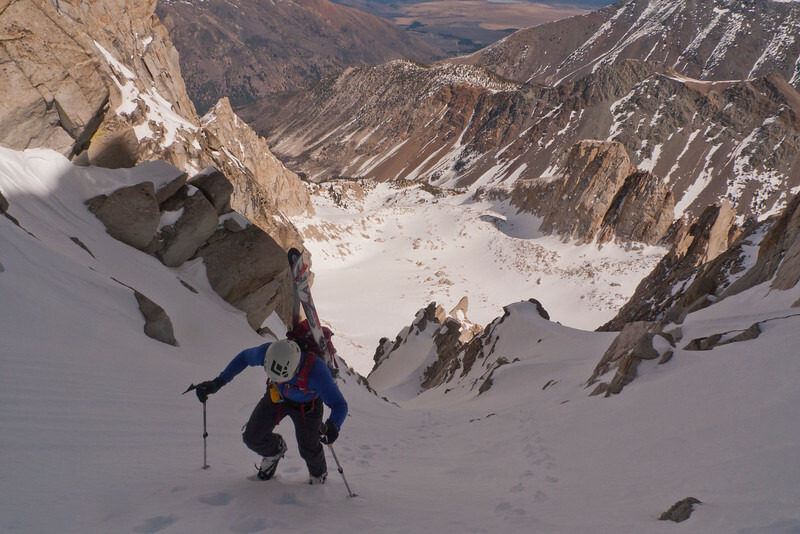 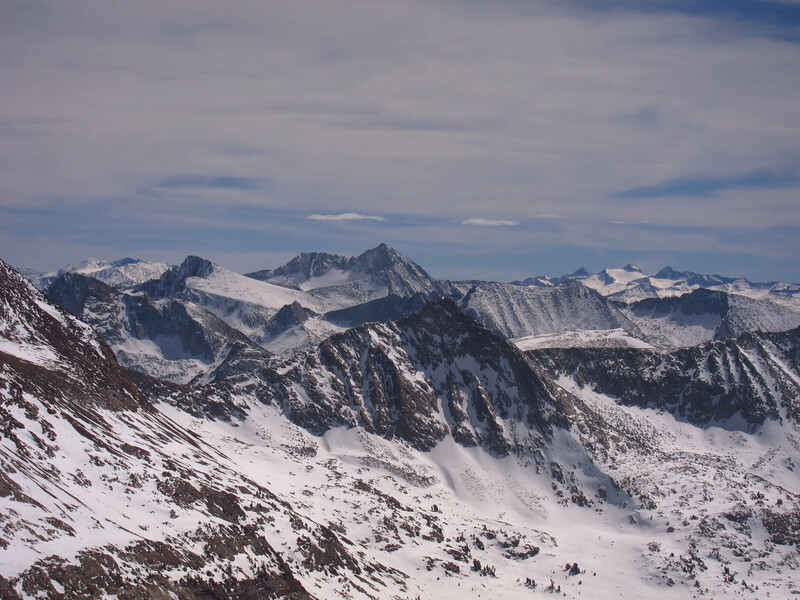 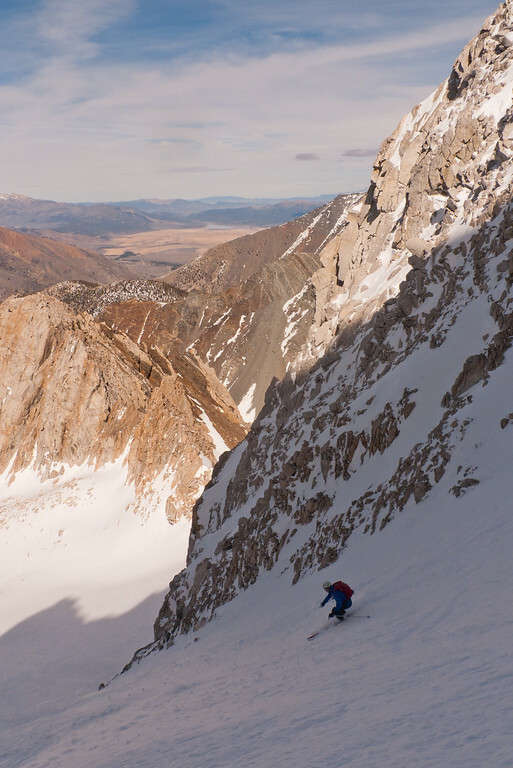 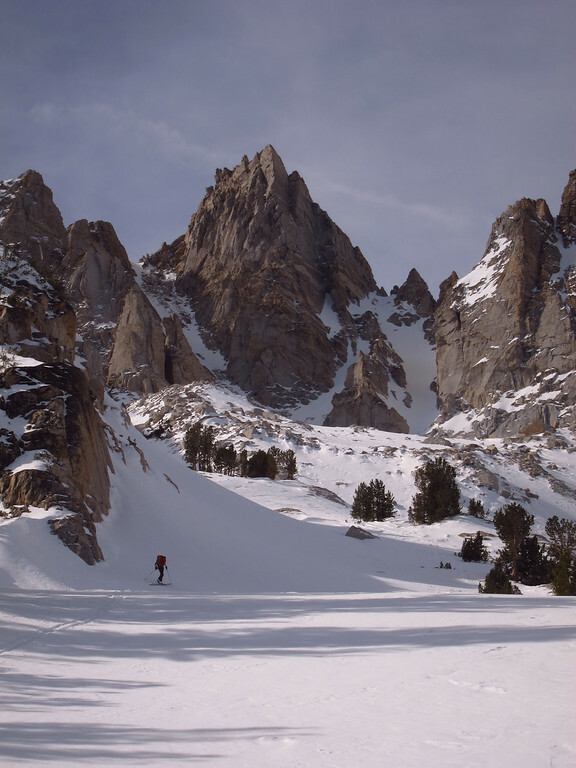 The weekend called for great weather for a mission down to the Eastern Sierra, in search of remaining “wintery” snow at high elevation, north-aspects. 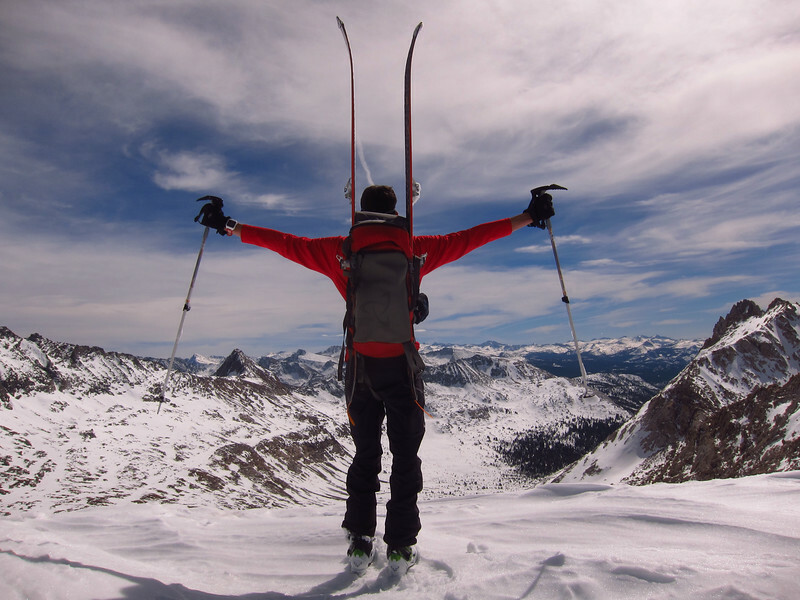 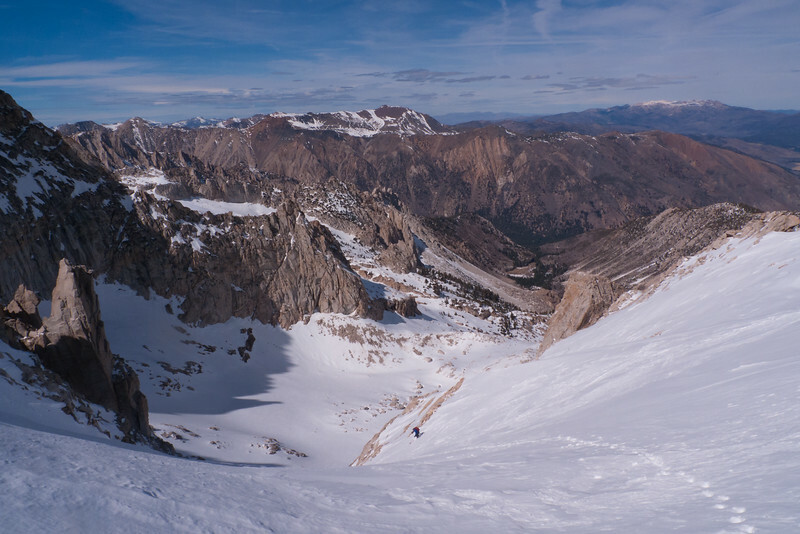 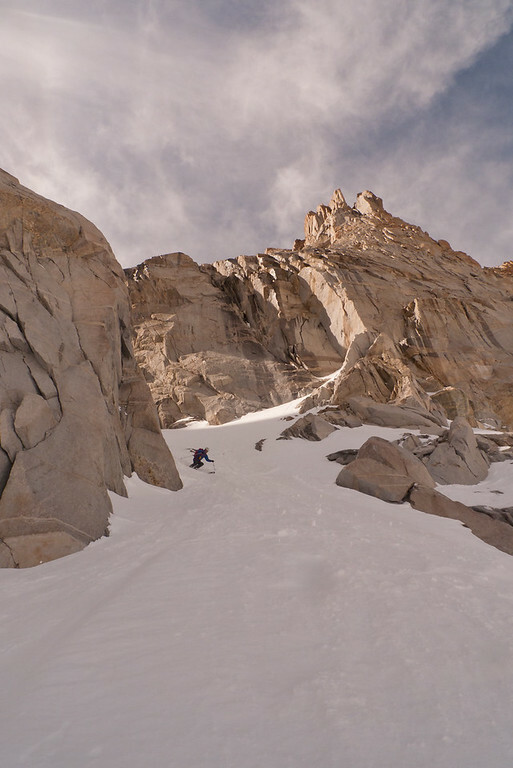 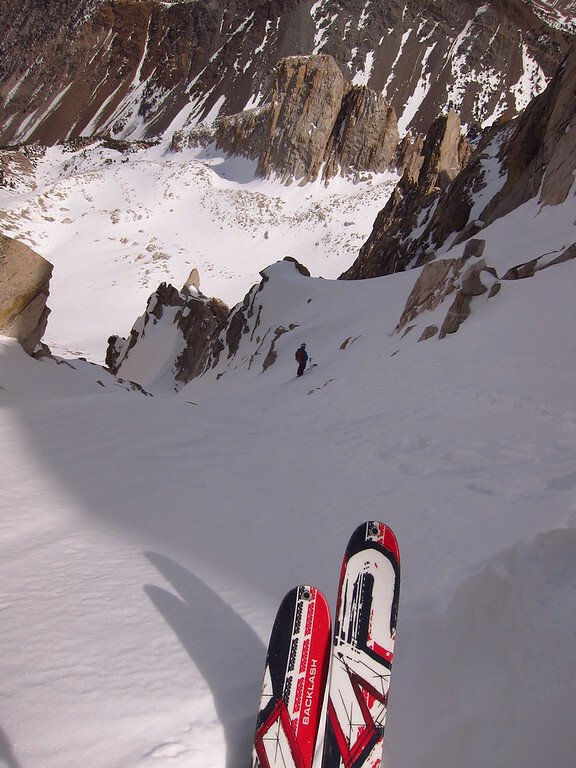 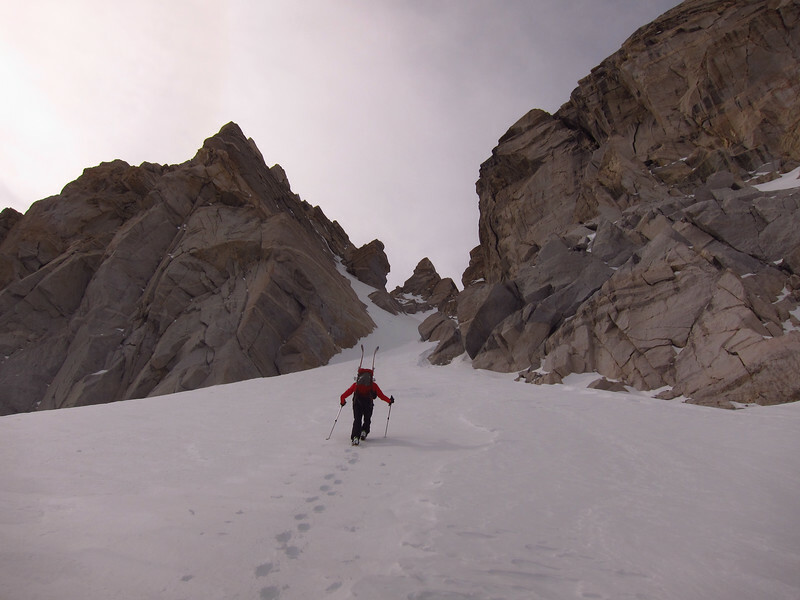 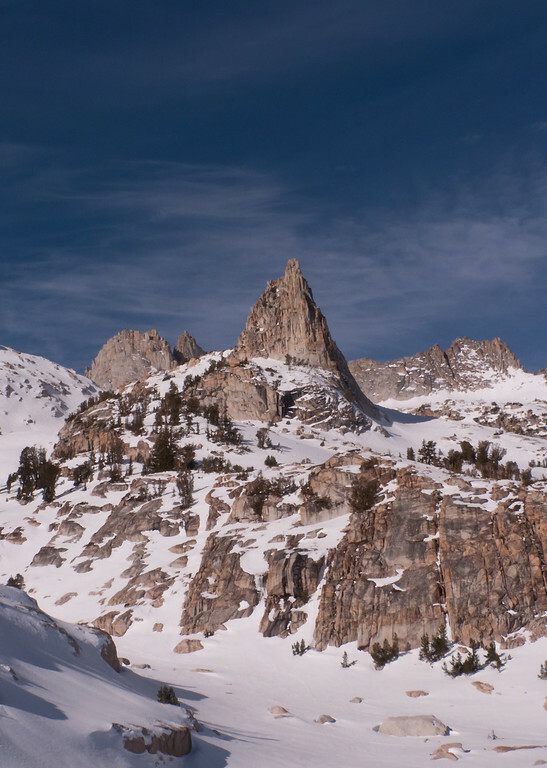 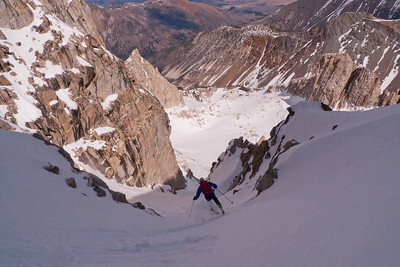 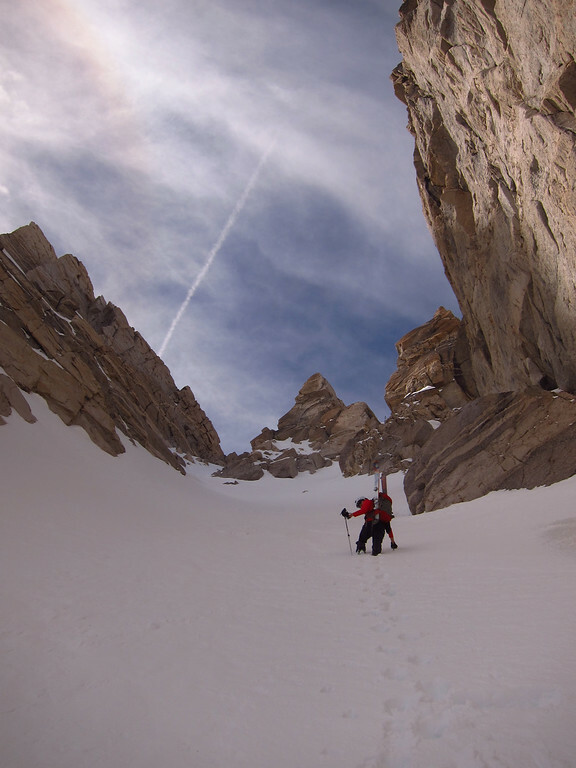 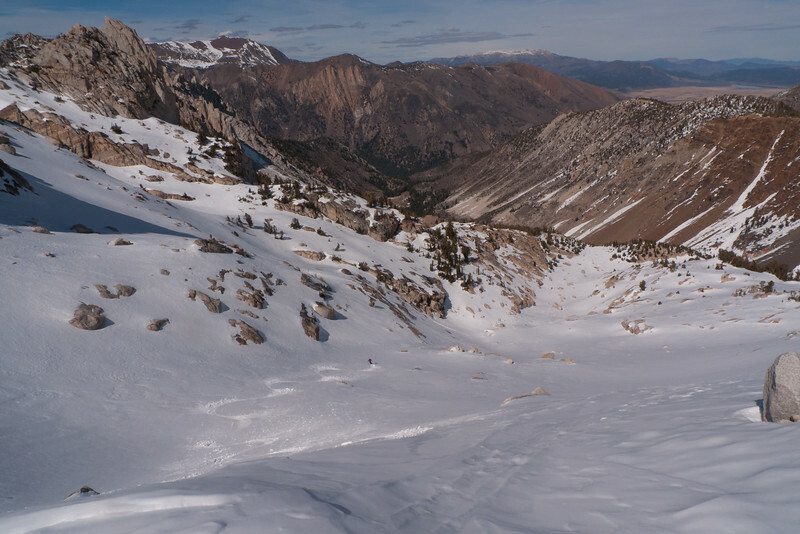 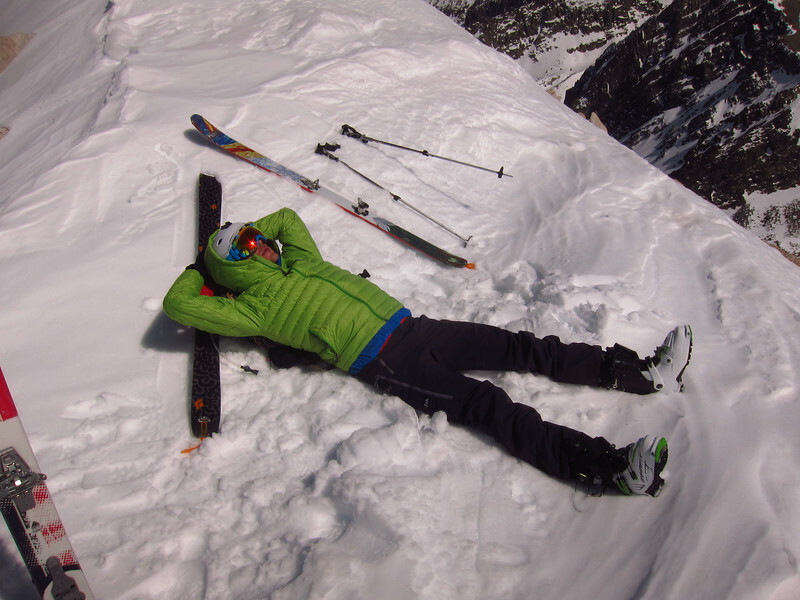 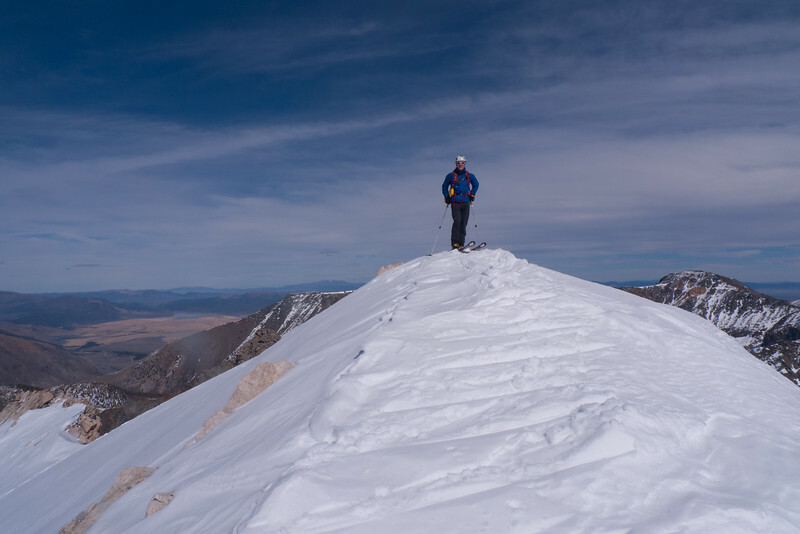 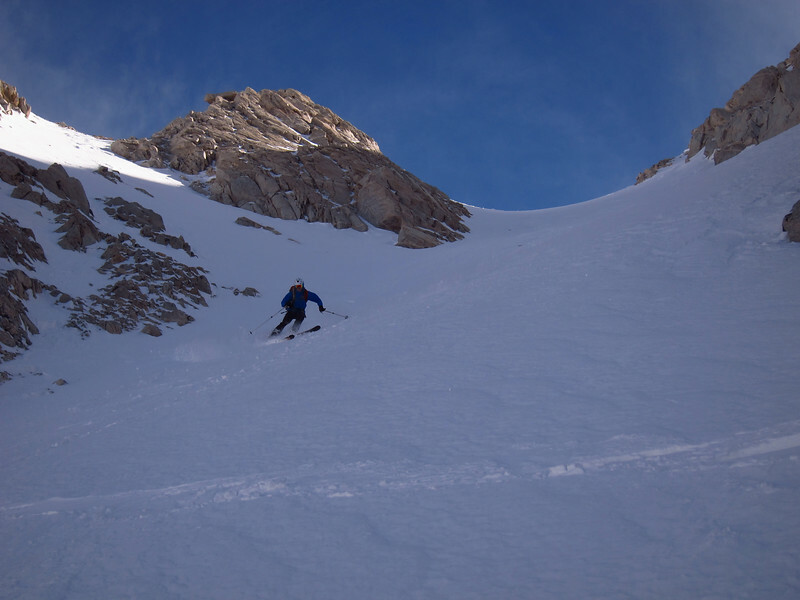 Our plan was to head up Horse Creek drainage and explore the areas around Matterhorn Peak, focusing on several of the couloir options once we got a better sense of snow conditions. 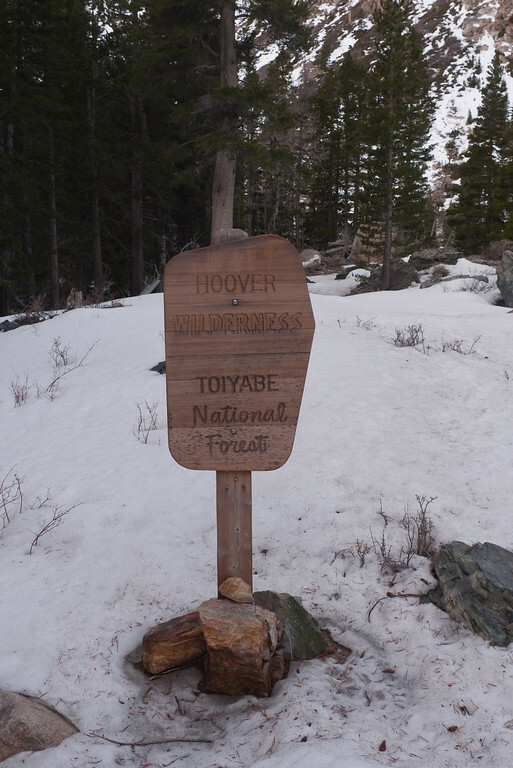 It was warm at the trailhead at approximately 6,000 feet, but we were hoping to find some powder remaining up at 11,000-12,000 feet. 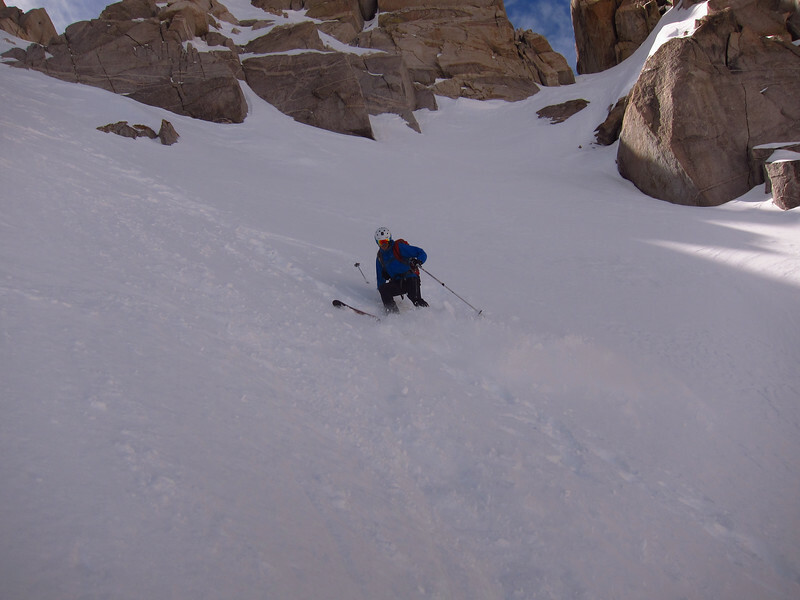 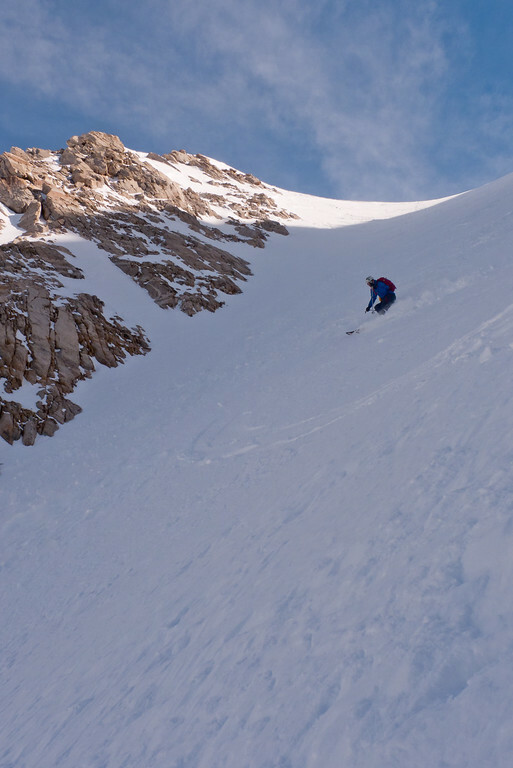 The upper 30 feet or snow was a bit wind affected, but the remaining 95% of the West Couloir skied fantastic with nice, soft wintery powder. 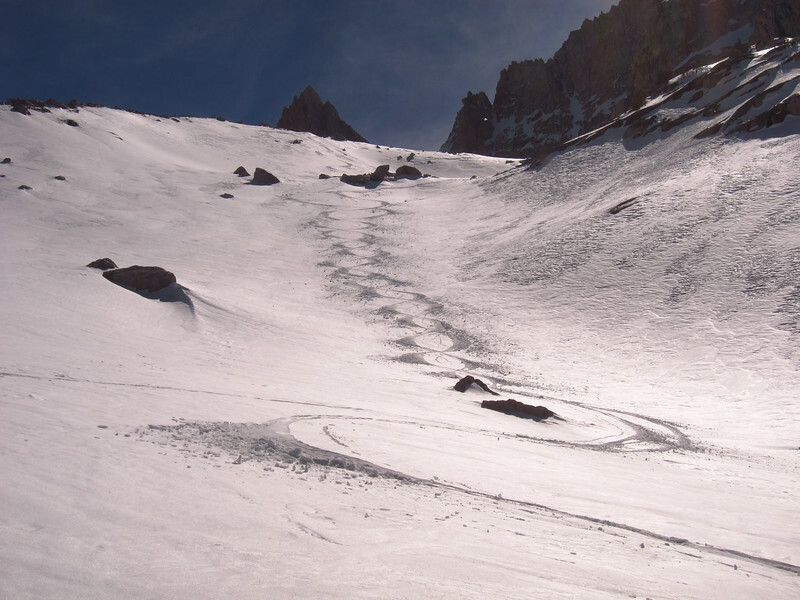 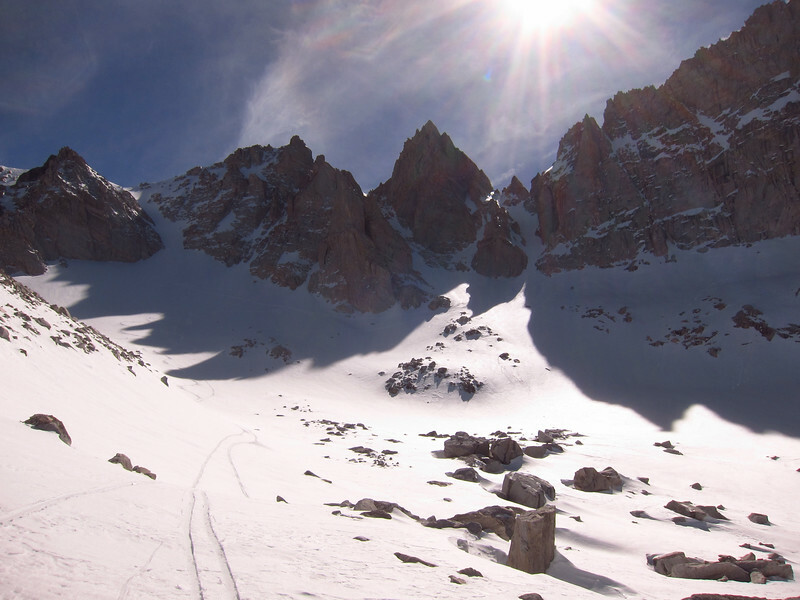 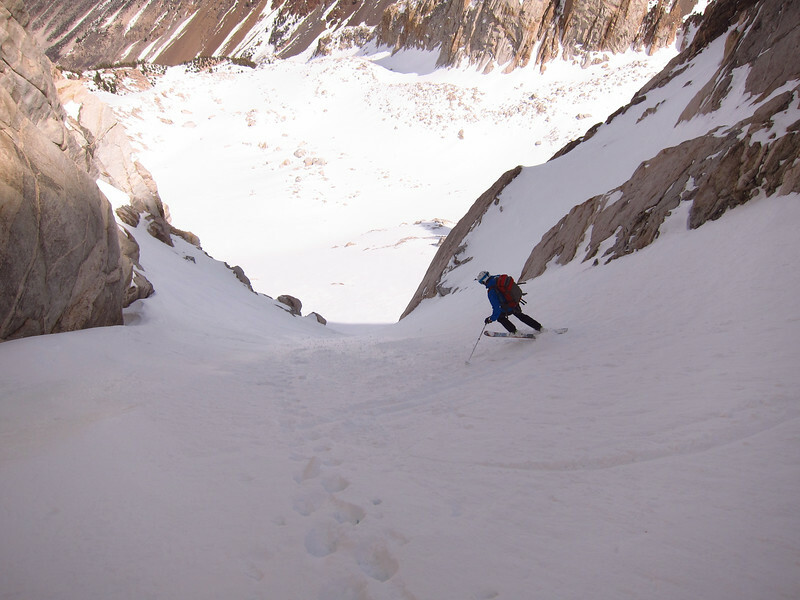 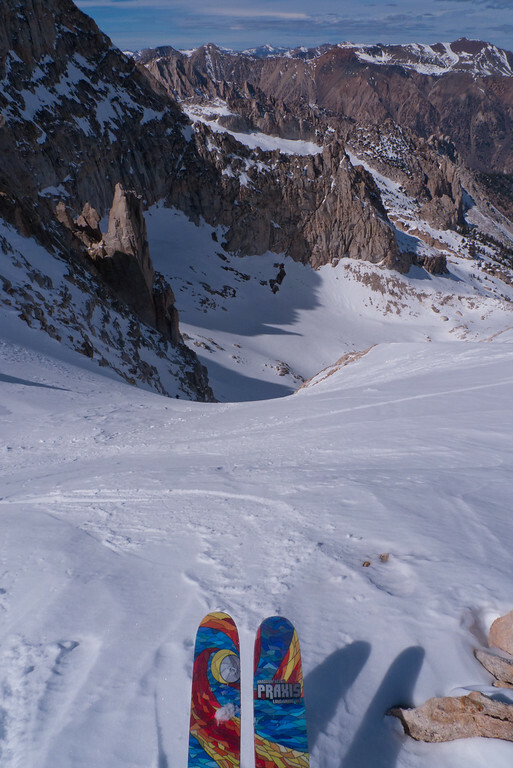 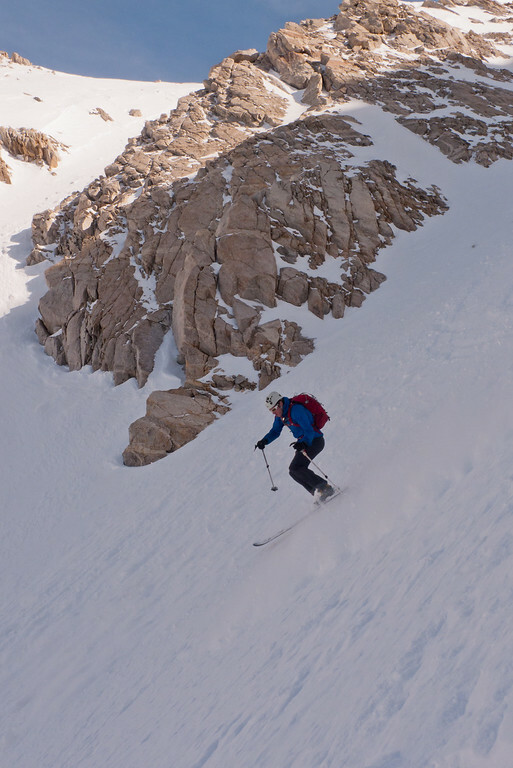 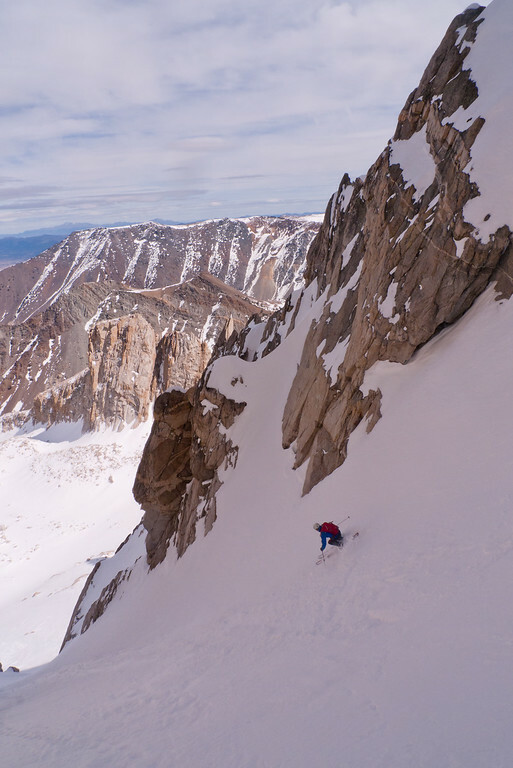 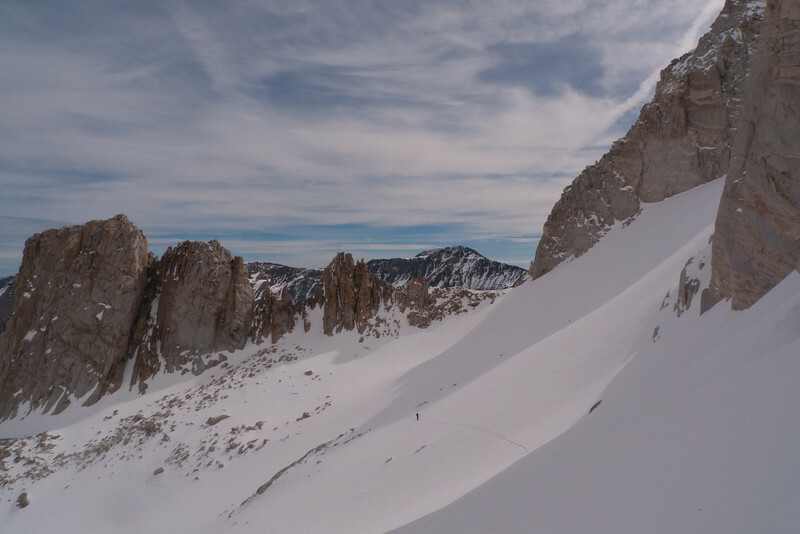 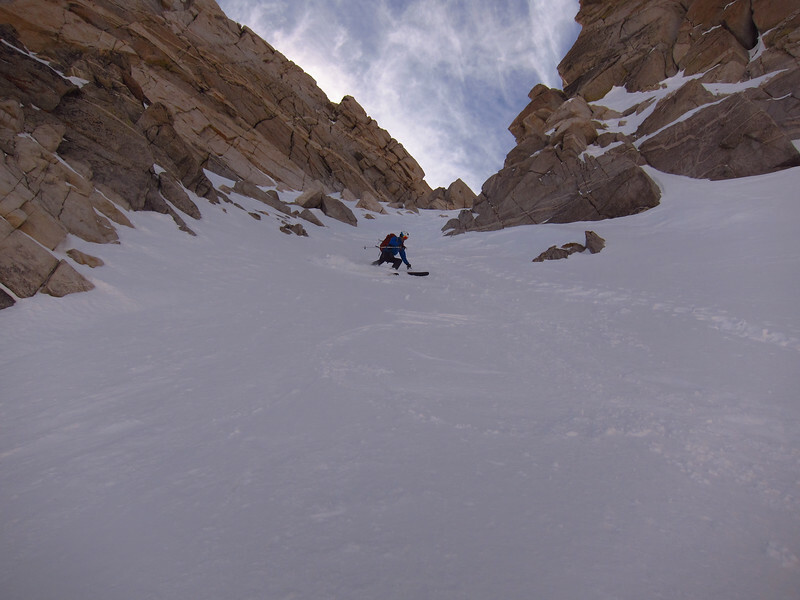 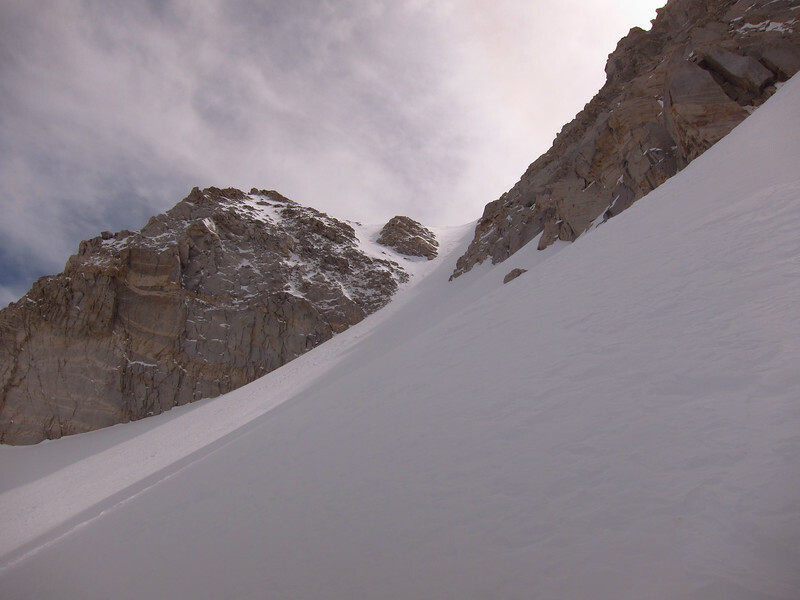 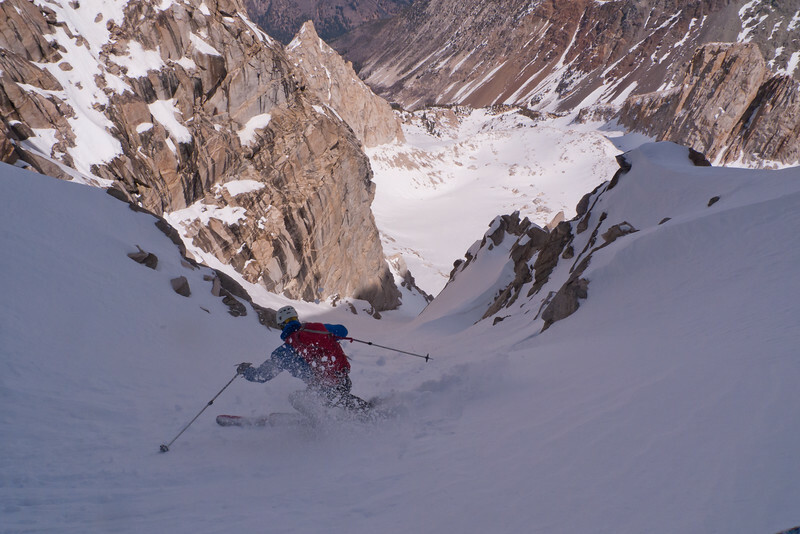 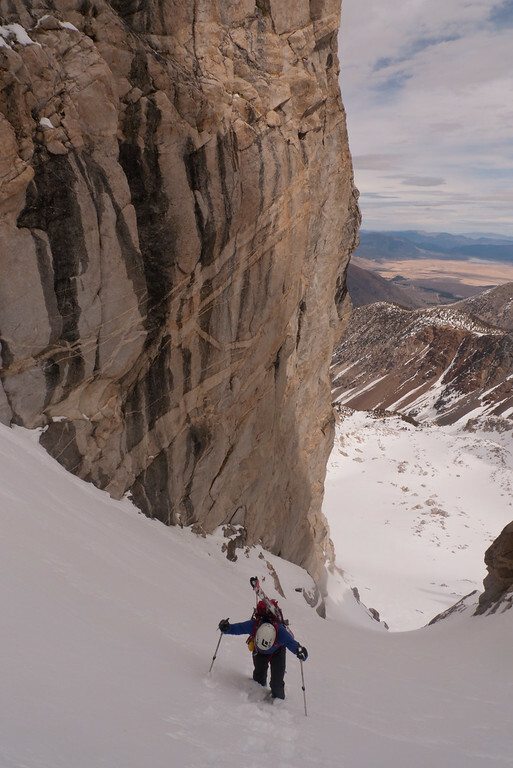 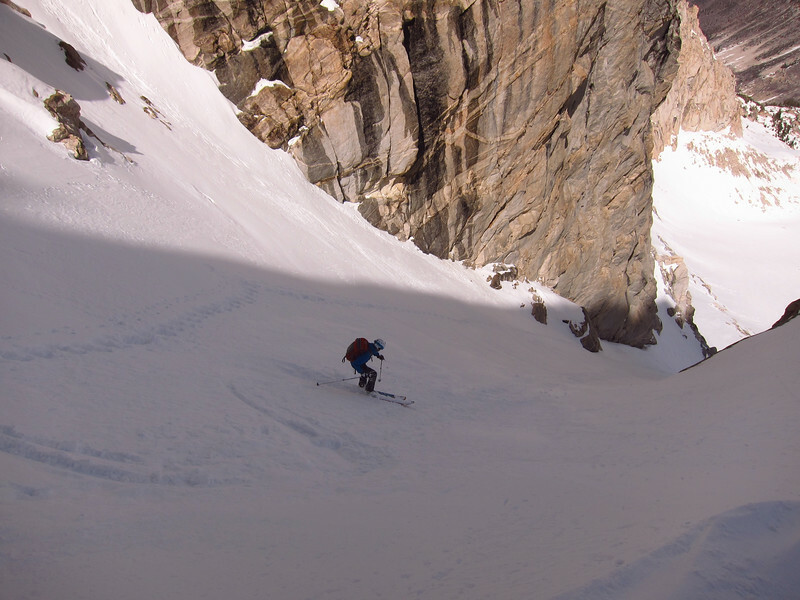 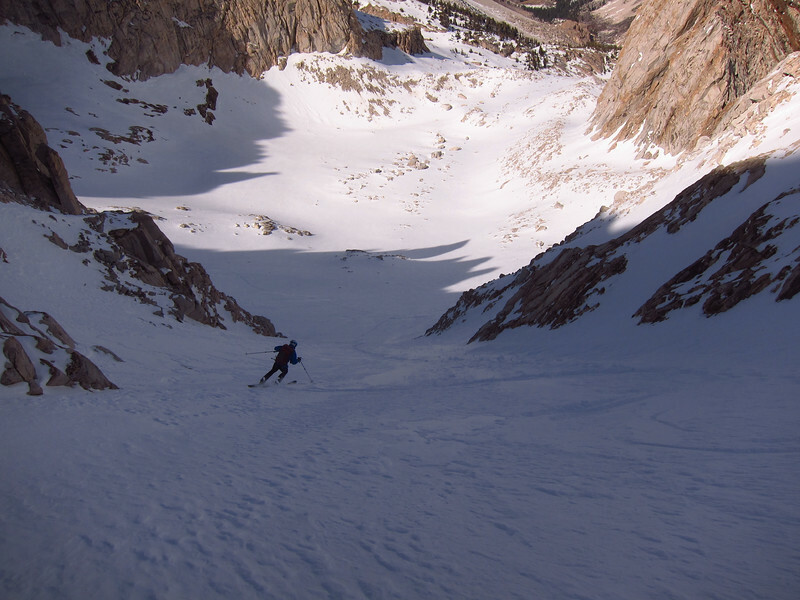 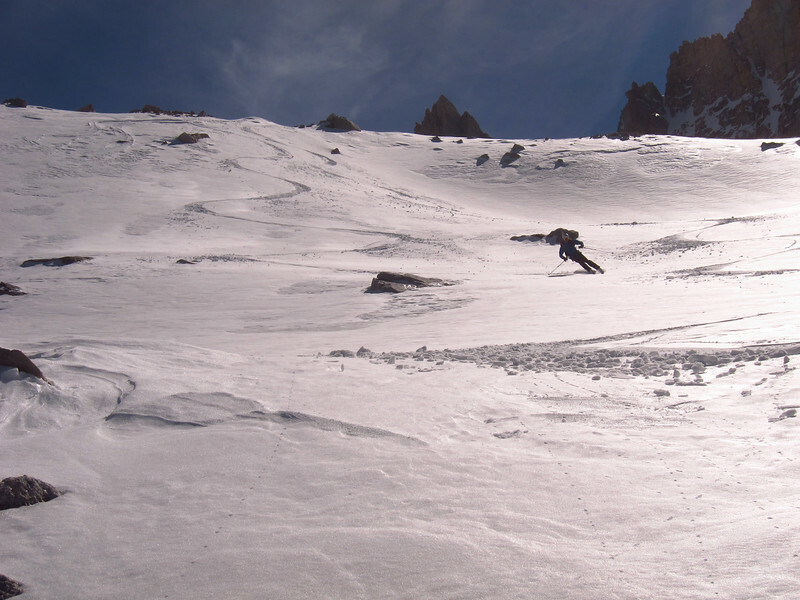 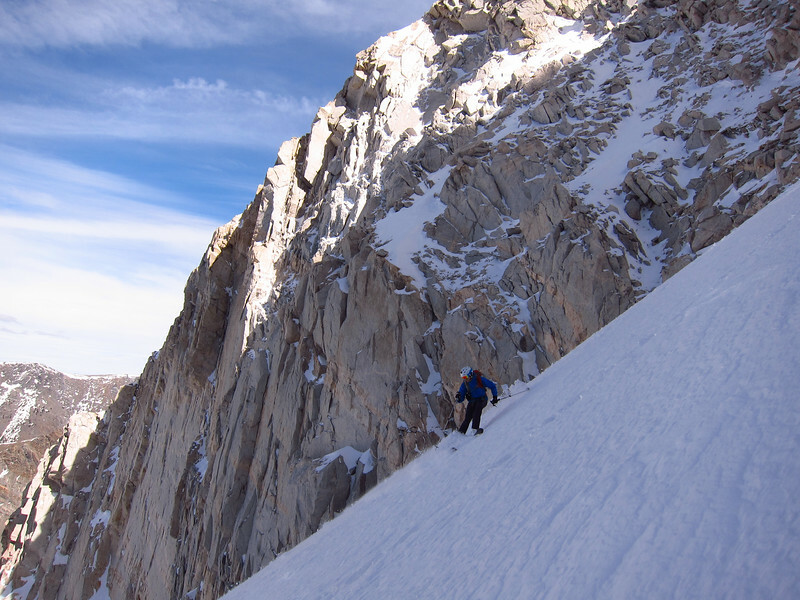 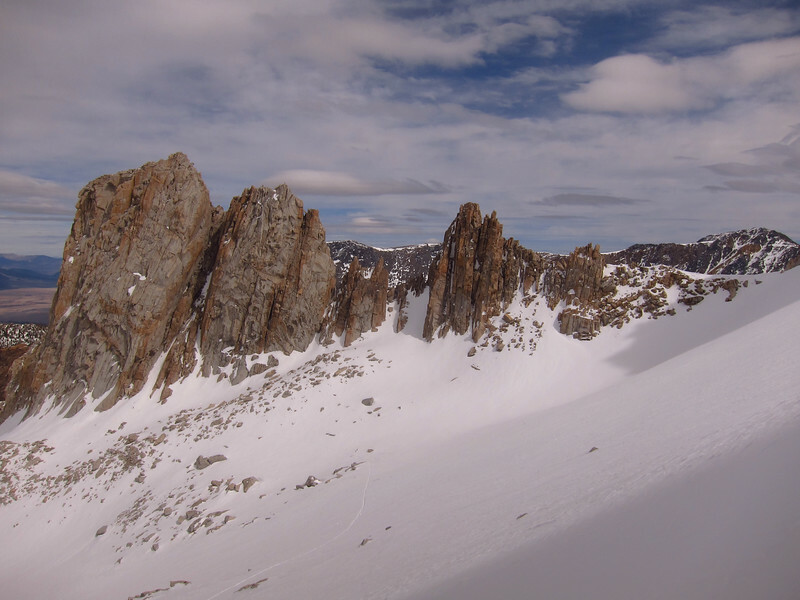 It was quite amazing that the altitude and shaded nature of the couloir had maintained such good snow for essentially over a week and a half (despite the warm temps). 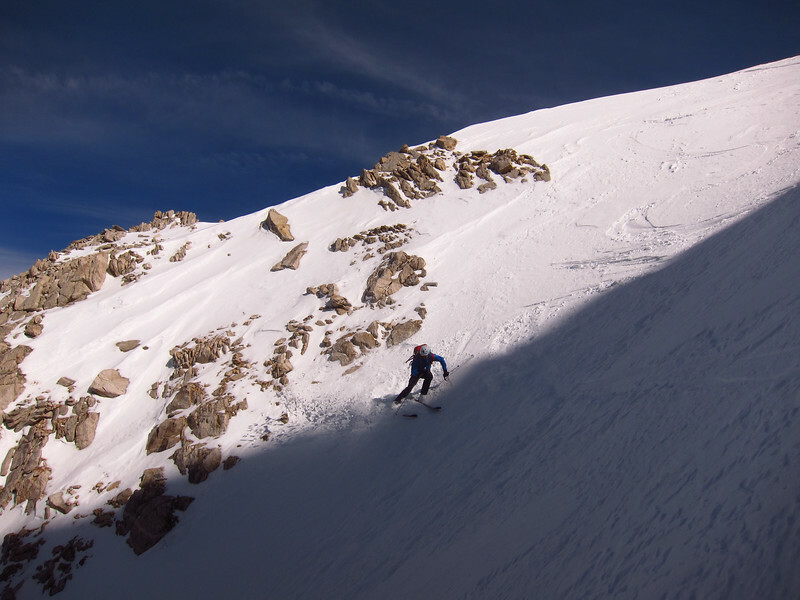 It was a great day in the mountains – hoping to do it again soon.